I WAS recently chatting to an old racer who told me that back in the early 1960’s Merseyside (as it wasn’t known then) had over 40 racing cycle clubs. By the late 1980’s this number had shrunk to perhaps half a dozen. Killed off by increased road traffic, the reluctance of the Police to allow race events on public roads and the rise of the mountain bike, it wasn’t until after the 2000 Sydney Olympics that the local cycle clubs started to stir again. That was the moment when some of those born in the 1960’s, the last generation who as kids were encourage to cycle out on the roads on their own, started to recall just how wonderful cycling at pace was and began buying ‘racers’ again. The flat lined heart monitors of many a northern club gave a slight beep around 2004 and since then the membership of clubs has rocketed. What are clubs for? Well it’s an invitation to ride with wise heads who appreciate company on long distance rides as much as they appreciate you wearing the club colours for racing. It’s a piece of your life that can belong to something other than work and family. A chance to experience the rush of speed and pain in equal measure in the company of others and forget life’s complications beyond the handlebars. It’s an opportunity to use your body for what it has been designed for – to suffer and scream against competition – or as part of a team, and then recover and build. Every clipin is a exercise in both personal truth and sporting collaboration. Of course there are plenty of cyclists who don’t feel the need to join a club. Lone wolves who like to ply the roads solo and even race as individuals. The old racer I mentioned bemoaned the decision made by the BCF in the 1980’s to open up racing to lone riders not affiliated to a club. With respect to the BCF, at the time, opening up racing to all comers was perhaps the only way to keep the pilot light on. Now clubs are growing again and many of the members are giving their time to marshall and organise races it seems polite and proper to race in a club’s colours – as an acknowledgment of what clubs contribute to the cycle community in the UK. Finally, let’s be honest. A big part of being in a club is the pride in wearing a cool jersey that you can’t get from Wiggle. 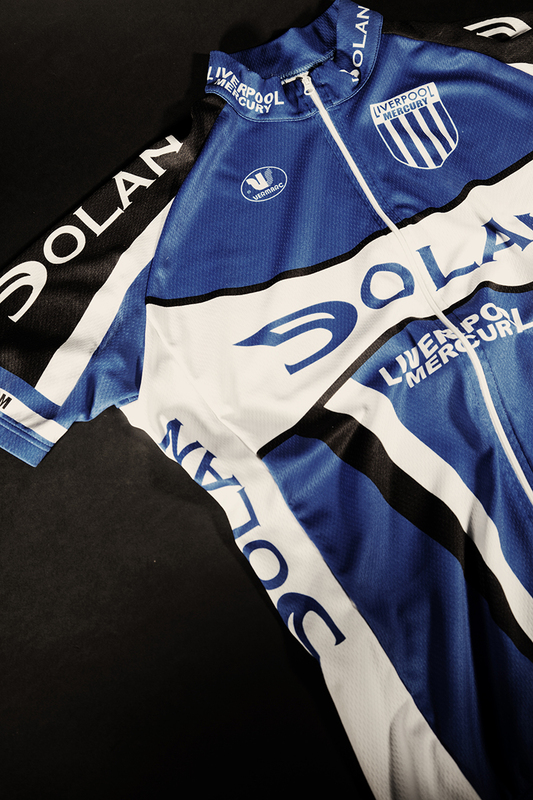 A club jersey has an integrity that rubs off on the wearer. It tells other riders what you believe in and belong to. Many clubs have kept their traditional colours through low membership and the coming and going of various sponsors. Sponsorship can certainly have it’s place – some venerable clubs were formed by an original sponsor. However, with the recent expansion of pro kit companies into the amateur market, clubs can now easily afford to ditch the more egotistical sponsors – smothering their club’s fine history in an attempt to mimic pro clubs – and return to their classic unsponsored jersey designs. Some of them iconic jerseys of the 1950’s and 1960’s are making a welcome comeback. 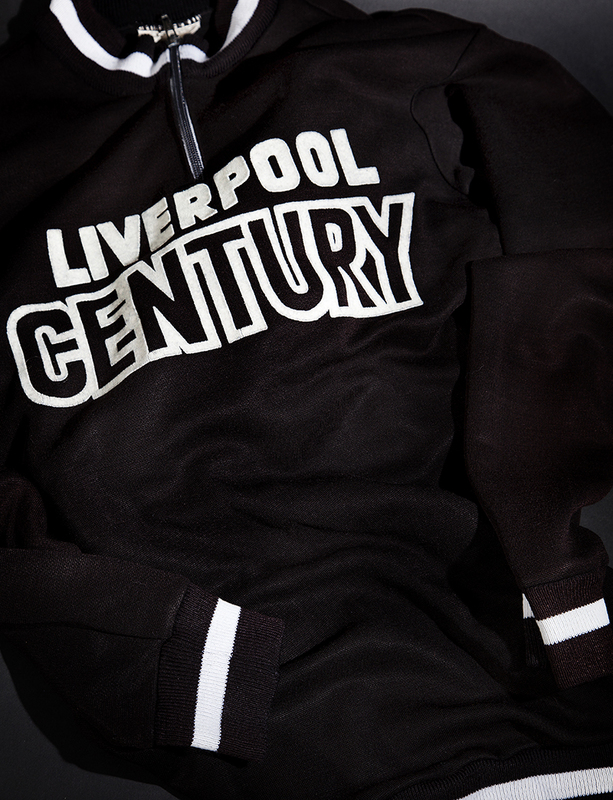 The Liverpool Century recently returned to a classic design from their past and others such as the Manchester Wheelers and Port Sunlight Wheelers have long since ditched sponsors and returned to their original kit. Dave Brailsford recently said when congratulating the Manchester Wheelers on their 130th anniversary that ‘Cycling clubs in this country are the cornerstone of our sport’. He’s right. Club’s teach skills you cannot teach yourself and they are essential to the good health of cycling in the UK – as precious a part of our history and future as institutions like the W.I. and The Natural History Museum. We’ve chosen six northern clubs as a starting point and it is a story we will return to. The biggest club missing is the mighty Kirkby CC, which never survived the death of it’s greatest chairman Ken Matthews. It would be wonderful to feature a new Kirkby CC jersey in yellow and red one day so if you’re reading this and ride in Kirkby it’s up to you. The resurrection of one of Mersey’s finest clubs one day would be glorious indeed. LIVERPOOL Century were formed on January 30, 1916, at the Derby Cafe in Ormskirk. The Century got their name from the fact that all members were expected to be able to ride at least 100 miles in a single day. Thankfully, that’s no longer a requirement and they’re now based at the £16.1m Knowsley Leisure and Culture Park, which boasts an outdoor velodrome. Famous riders who have gone on to make it into the pro ranks in recent years include Mark McNally, Matt Brammeier and Johnny McEvoy. Mark Cavendish also used to train with the Century when he was over from the Isle of Man to race in the North West. This jersey pictured above belonged to Geoff Bewley, who was a local legend among members of his life-long club, Liverpool Century. Despite never winning any major honours, Geoff was renowned for his dedicated and coaching skills. Light years ahead of his time, Geoff was the first person in the region to see the benefits of combining weight-training with cycling. “He used to organise club weight-lifting sessions in his garage when he lived in Aigburth,” revealed fellow Century member, Rob Pleavin. “This was going back to the late 60s or early 70s, when no-one was using weights incorporated with cycling. He also went over to Nigeria to coach its national squad in the 70s and brought a team over to compete in England. That was the type of thing Geoff did, though. LIVERPOOL Mercury were originally founded in 1948 as an amalgamation of the Liverpool Racing Cycling Club and the Mercury Cycle Club, which may have been a legacy of the long defunct Liverpool Mercury newspaper. Back in the days of the Liverpool Racing Cycling Club, the club colours were blue and white, while Mercury riders sported green and red. When the two clubs amalgamated, the green and red were dropped in favour of the blue and white – colours that remain to this day. Renowned in the 1960’s and 1970’s for its fierce racing rivalry with the sadly now disbanded Kirkby CC, the ‘Merc’ produced international riders such as Ken Hill and Pete Matthews during the 1960’s. Years later in the 1980’s, the club carried on its success with Phil Thomas winning the 1982 Road Race Championship, while his wife, Vicki, rode two editions of the Women’s Tour de France. The ‘RC’ was changed to ‘CC’ in 2000, as ‘racing’ was thought to be ‘too intimidating’ to new members. Based at the £5.5m Litherland Sports Park in Boundary Lane, the Merc’ boasts its own dedicated £300,000 cycling circuit and is slowly building a younger riders to bolster the 100 members already on the books at the Mercury. WHERE do we start with the Wheelers? Last year, it celebrated 130 years of racing and is probably the most prestigious club in the North West. The club’s roster of national champs and pro riders over the years is extensive and includes the great Reg Harris, whose statue sits in the Manchester velodrome, Dave Lloyd, Emma Davies – the British track champion, Daryl Webster – the hill climb champion, Malcolm Elliot, John Woodburn – the long-distance rider, and some poor, long-forgotten soul called Chris Boardman. He’s that bloke off the telly, isn’t he? 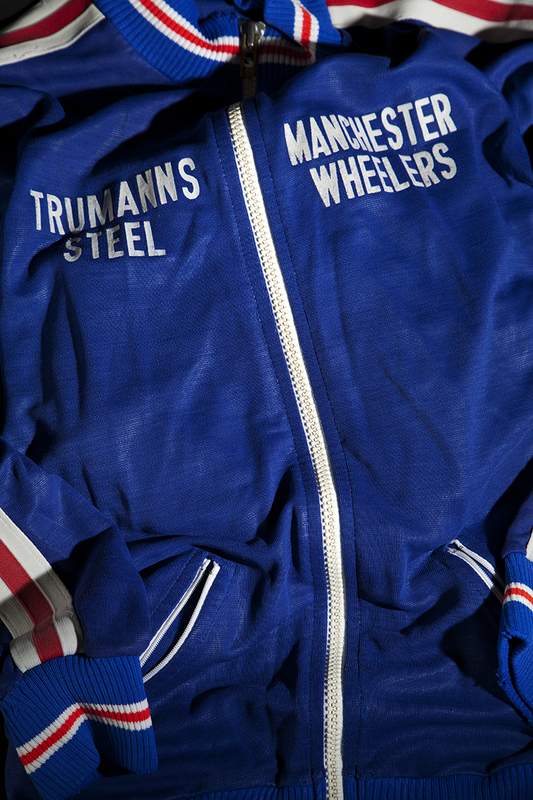 The Wheelers’ iconic red white and blue jersey was proposed in 1947 by Reg Harris and, aside from some subtle sponsorship from Trumans Steel in the 1970’s and 1980’s – possibly the most apt sponsor name ever, the club kit design has remained one of the most stylish club jerseys in the country. Now based at the new outdoor track at Thameside in Ashton-under-Lyne, the Wheelers’ clubruns extend out from Manchester over North Cheshire, the Dales and West Lancashire. The Wheelers have everything that you could ever want in a club – a healthy, active social and training network, as well as more than 350 members. Then there is the club’s growing women’s membership, which is always a good sign of a modern establishment. PORT Sunlight Wheelers was founded in 1948 as a ‘working man’s club’ for cyclists by a group of soap-workers from the worldfamous Lever Brothers factory in Port Sunlight. The origins of the club’s very classy red, white and black banded jersey aren’t very clear, but from talking with members, they may be linked to the packaging and advertising used by Levers at the time. 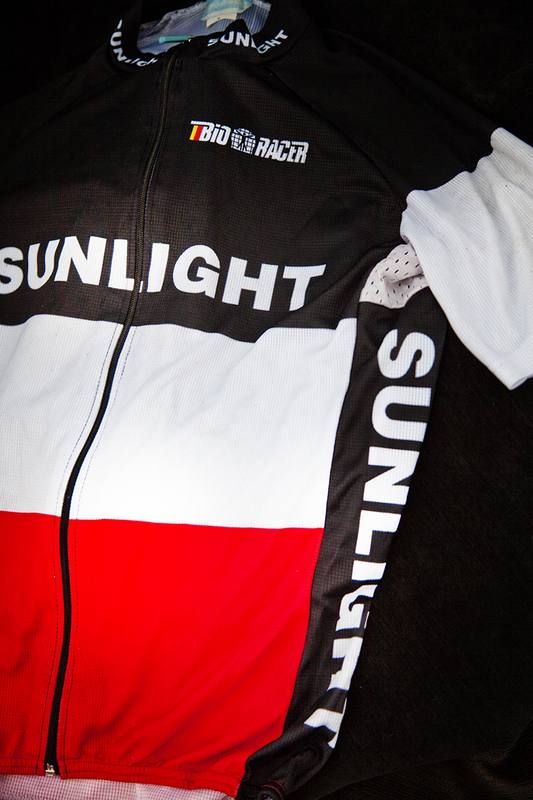 During the 1950’s, the Wheelers began to make an impression on the local racing scene and, by the next decade, Sunlight riders were gaining national success. At one point, the club held the national team competition record for 30-miles during the heyday of British Time Trialling. Mark Bell was the first foreigner to win the Étoile de Sud Belgium stage race in 1983 and went on to win the professional National Road Race Championship in 1986. With club runs beginning at the famous Eureka café near Two Mills in Wirral, the Wheelers have spread out to cover North Cheshire, much of North Wales and also your television sets if you’ve looked closely enough during the Alp d’Huez stage of the Tour de France. Every year, a band of Sunlighters take over a corner of one of the big climbs in the Tour and teach the Dutch lads how to really celebrate. Like most of their neighbouring clubs, the Wheelers have built a strong proud history across the racing disciplines and are expanding racing again through new membership. 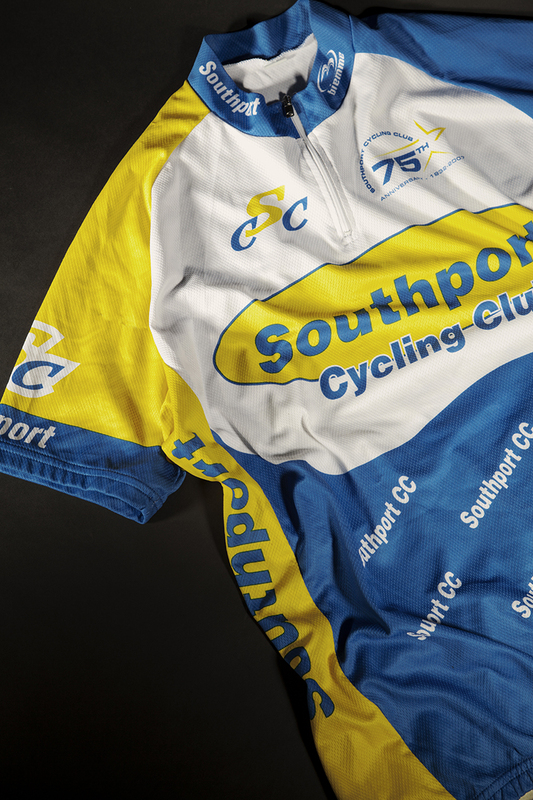 SOUTHPORT Cycling Club, in its present form, was first founded in July 1932 by just 12 members and held its first meeting at Les Hubbard’s home in Birkdale – although there is evidence that a club was unofficially in existence as early as 1927. One of the most successful members of the club has to be Bill Bradley, who we featured in the last issue. Bill dominated road racing during the 1950s and 60s – though he is better remembers for breaking the record on the feared 20km climb of the Gross Glockner Pass, previously held by Tour de France winner Charly Gaull, as well as many, many great wins in the Milk Race. Other notable members include Bob Bird, who was born in the States but remains the club’s most successful time triallist. He won the club BAR on five occasions, as well as both the NLTTA and LTTA Championships, the latter on two occasions. In recent years, Jim Henderson has achieved success remotely comparable to the Bird and Bradley era with his amazing sequence of 14 top four places in the National Hill Climb Championships. 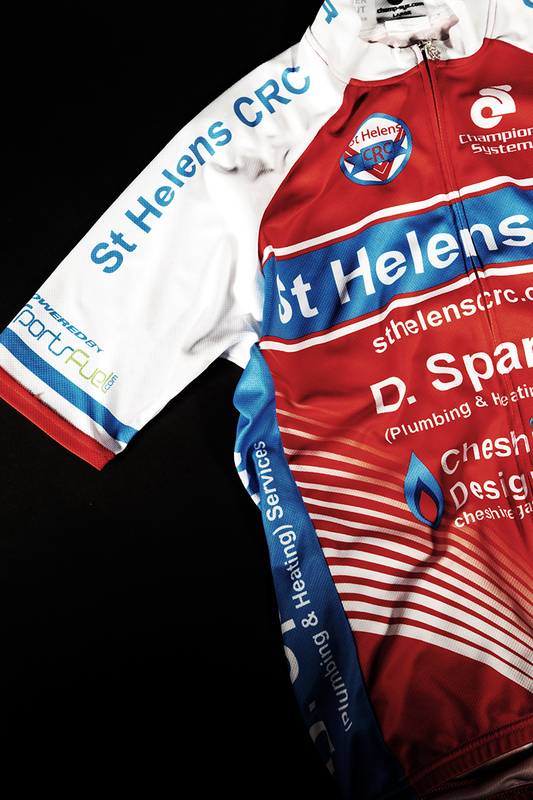 WITH it’s local sponsors and classic jersey style, you’d be forgiven for mistaking St Helen’s Racing Club for a traditional age old Lancashire road club. St Helen’s was actually created in 1978 by Duncan Sparrow and a couple of other riders that left Prescot Eagles to start a club of their own and, as with most clubs in recent years, membership has expanded rapidly from only 35 members in 2008 to more than 100 and rising in 2013. As the name suggests, St Helens takes it’s racing seriously. This year, the club has had more members competing across the many different disciplines than ever before. Club members include pro riders John Rigby (Maxgear RT), Mike Rawson (Kuota/Spinergy/GSG) and Peter Ware, who has won the LTTCA Middle Distance Championship not once, but twice. 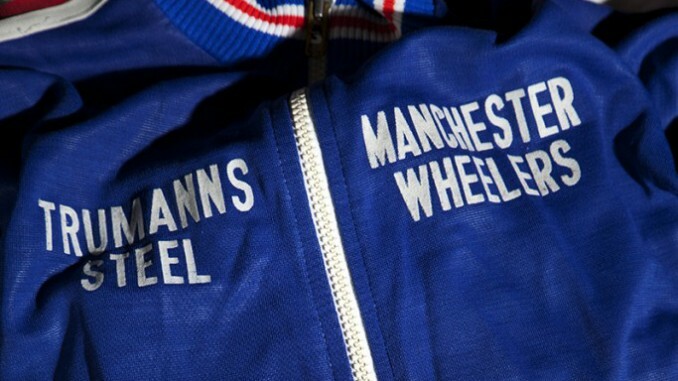 Manchester Wheelers, great club. At one time, they had their club night in Essex, as they had so many riders living that way. Or so the joke went!